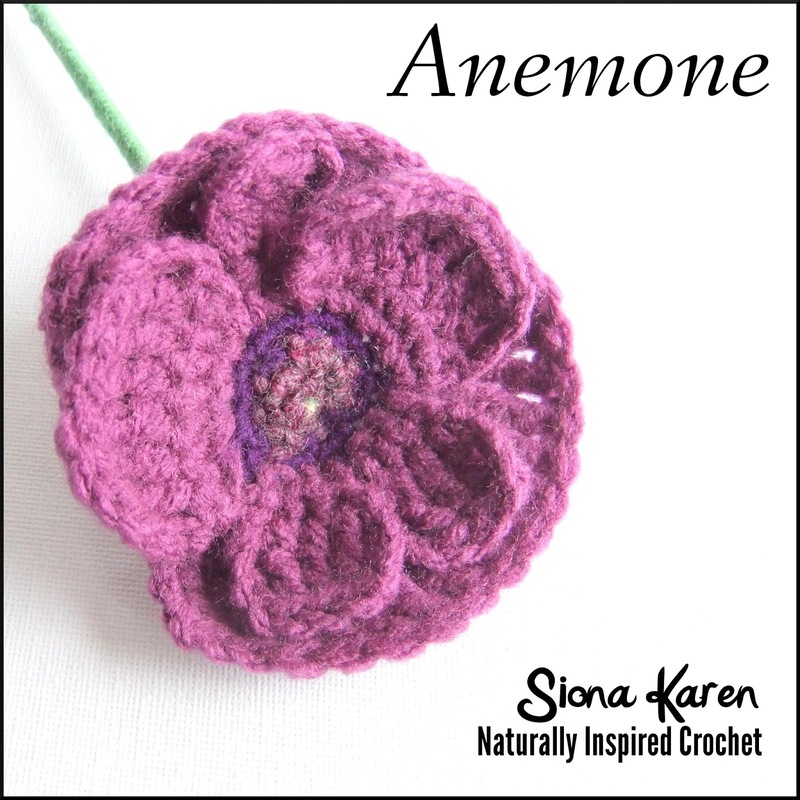 Anemone is thought to come from Greek, meaning daughter of the wind. However many people believe the meaning of the Anemone flower is forsaken or a dying hope. This pattern is worked in the round and I use abbreviations according to US crochet language. The finished anemone is approximately 3.25” (8.5cm) in diameter. 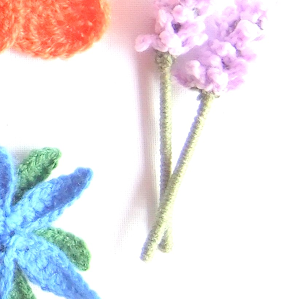 This flower would make a beautiful brooch or hair fascinator. 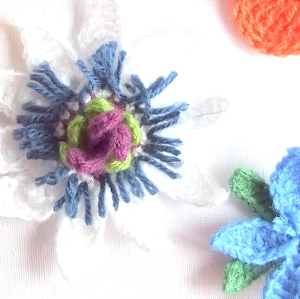 This pattern is also featured in my English Country Garden Book 1 ebook. 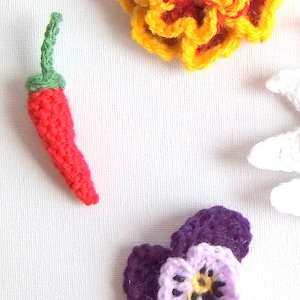 All my patterns are available to purchase as PDF files from my Etsy shop and from Ravelry. They are also available for the Kindle on Amazon.